These changes are available on Xbox One, PlayStation 4 and PC only unfortunately, so if you want the full experience you may need to upgrade to a new-gen console. For those owning an Xbox One, there will also be the chance to play the game earlier if you own EA Access. Those with an EA Access membership get to dive into FIFA 16 five full days before it launches, with a 10 percent saving on all EA digital purchases, including additions to FIFA 16, and the chance to play upcoming EA games on Xbox One for a limited time before their release along with the ability to keep your progress if you decide to purchase the game. 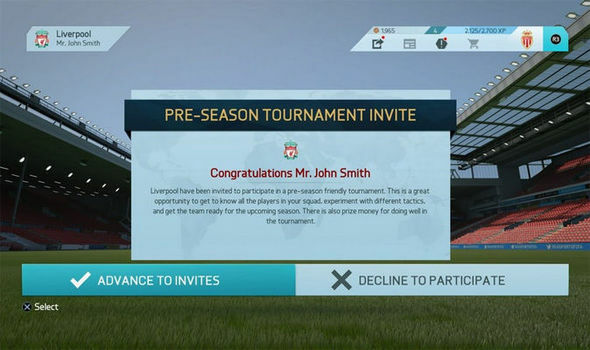 In FIFA 16, a key development period is being added to Career Mode, pre-season. Your club will now be invited to three out of a possible nine tournaments, played in Asia, Europe, Latin America, or North America. These matches will be your opportunity to work on your team tactics and line-ups before the start of the regular season - use all your subs to test squad players. The prize purse from these tournaments gets allocated to your transfer budget for the upcoming season. Managers will be able to train their squad to increase player attributes and boost player development with the selection of up to five squad players to train from a number of training drills, each focused on developing specific attributes.